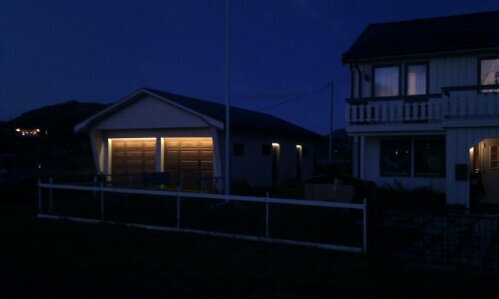 I’ve mounted ledstrips on my mothers garage. 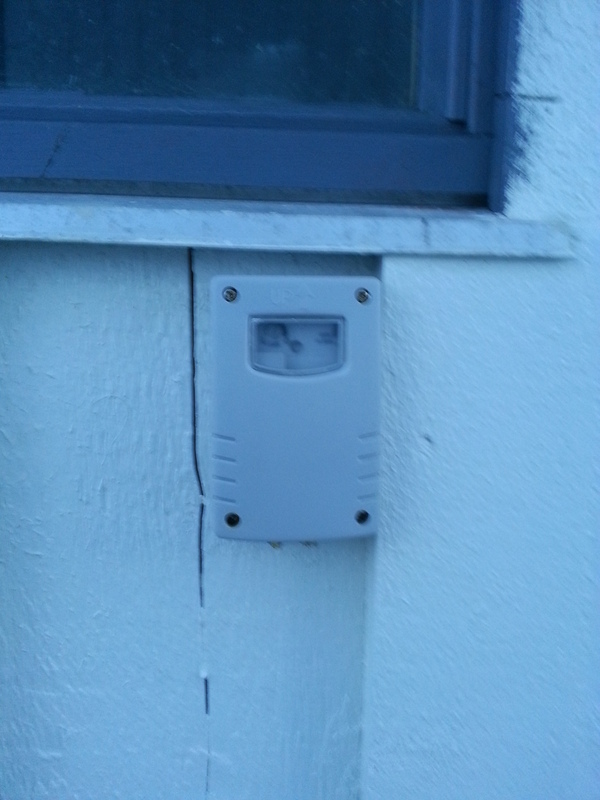 I’m quite proud myself, even mounted a dusk to dawn sensor. 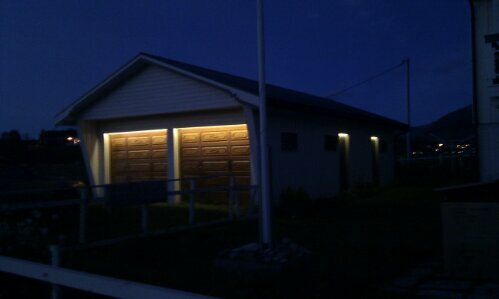 So the lights turn off the few hours there is light during the day. Update: a few more pics and tech data. I’ve used a led strip with SMD 3528 leds with warm white color. there is 60 leds pr meter. and the strips is fed with 12volt. 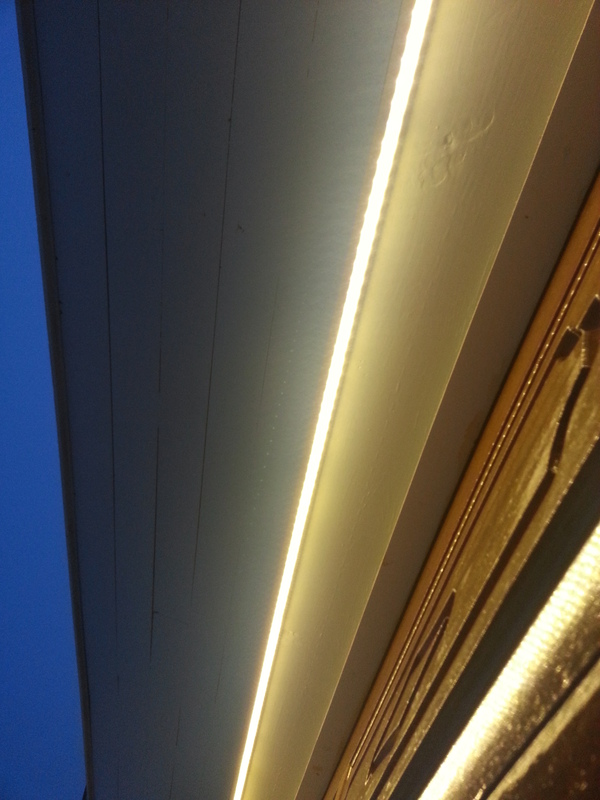 The led strip where delivered on reels of 5 meters and cuttable every 3 leds. I’ve used about 6-8 meters in total for all 4 doors on my mothers garage. (two big and two small ones). Led strips with SMD3528 can also be bought witn 120 leds pr meter, and if you would like even higher brightness go for the strips with SMD5050 leds. I’ve bought my strips from ebay.com delivered from China/Hong Kong. Dette innlegget ble publisert i handyman av admin. Bokmerk permalenken. Respect! Og så ljust og vackert! Jeg brukte under en måned på å få den kommentaren godkjent, ikke fullt så mye «respect» for det.. Sorry.